Now, achieve sizzling hot Sonam Kapoor look under 10 minutes! The world is in complete awe of the famous Bollywood diva- Sonam Kapoor. Known for her exquisite style, fashion statement, and beauty, Sonam has been quite a stunner at parties and red carpet events. 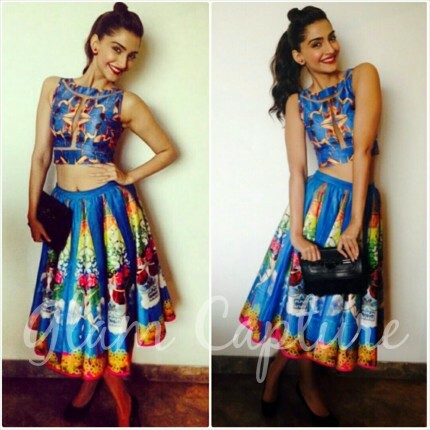 Here is your quick guide to achieving Sonam Kapoor’s ultimate cocktail party look. She is considered to be India’s fashionista at international events across the globe. So, ladies, why not re-create the looks with 5 simple ways and look elegant and cute like her social gatherings? You are only a few steps away from decoding the looks. You must find the right color that suits your complexion. And when you have found your ultimate red lipstick, apply it properly. The idea is to make crimson lips look sophisticated, and not messy! Apply a primer and follow it up with a dab of foundation. Draw a smooth lip line. Do remember that a single line of the lip liner may not be enough to keep a dark red shade in place. So, you might have to do a proper contouring. Once done, apply the lipstick by making use of a lipstick brush to carefully fill in your lips with the color of your choice. Celebrate happiness, add a dash of adventure and abstract creativity in your life with a unique dressing sense. That’s what Sonam does from time-to-time. Flash a bold, bright graphic print and team it up with a statement neck-piece or just a pair of long earrings. Besides, who says florals are only for the spring time. You can sport cherry blossom on a cold winter night and a bright sunflower print on a hot summer night! For beautiful cocktail night eye makeup look, all you go to do is take a smudgy black eye pencil and dot around the upper and lower lashline. Now smudge the same to form a small wing near the lower lashline and blend to softness. Don’t forget to curl your eye lashes. Apply a dash of mascara too. Ideal go-to summer hairstyle, a high ponytail can add a lot of exuberance to your personality. You can event flaunt it with a typical Indian outfit. However, at a summer cocktail party, wearing it with a midi skirt or a short dress can glam up your style quotient. Take help of bobby pins to secure it neatly. Blush color got to suit the skin color. 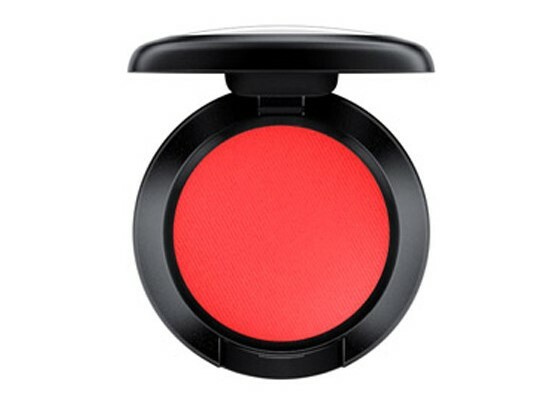 If you have medium to dusky complexion, then a red stain is bound to look exotic. The color can add a lot of intensity and depth to the skin tone. If applied properly, it can really play up any look naturally. The cheeks must look like they haven’t been made-up. A healthy and a super fresh glow is what really matters. Our recommendation comes with the pink undertones. It is meant for a lighter complexion. Don’t forget to blend it well with the skin for a seamless effect. So, are you ready to look cool like our gorgeous style diva?